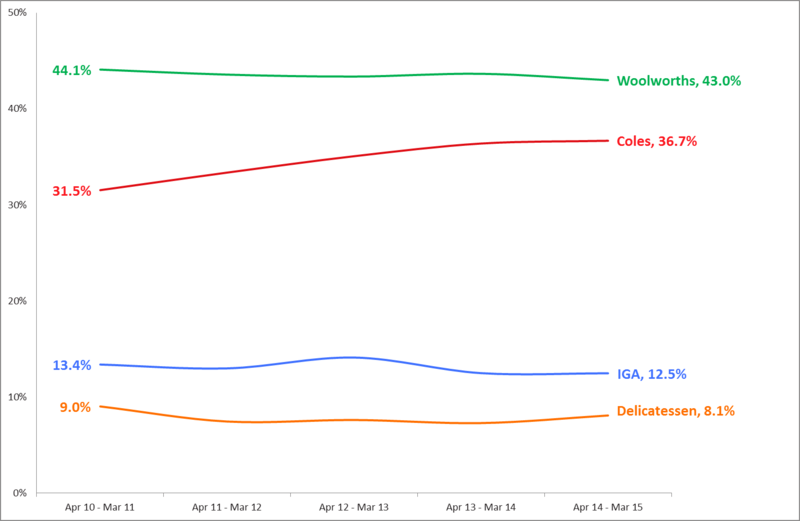 Coles is thinly slicing off an ever bigger share of the $4.7b annual Australian delicatessen market, but Woolworths remains Australia’s number one retailer for fine food delicacies, the latest retail data from Roy Morgan Research shows. Over the last five years, Roy Morgan Research has surveyed over 72,000 Grocery Buyers (14+) half of whom had made a recent purchase from a deli aisle or counter. In the 12 months to March 2015, 6.7 million Australian grocery buyers together spent around $91m on delicatessen items in an average seven days, up from 6.4 million weekly shoppers (and $73m spent) four years ago. 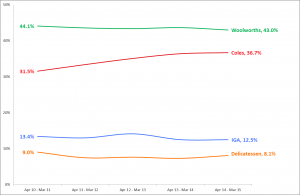 Woolworths retains the largest share of the market, with 43.0% of deli shoppers now buying at least some of their week’s supply of deli goods from the store, down marginally from 44.1% in 2011. But rival Coles has been making steady gains, halving the gap from 12.6% points to 6.3% over the period. 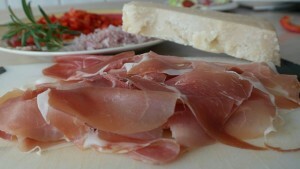 Coles now supplies deli items to 36.7% of deli shoppers, up from 31.5% in 2011. IGAs and delicatessens have also lost a bit of ground. 840,000 grocery buyers bought deli items at an IGA in the last week, representing 12.5% of deli shoppers (down from 13.4% in 2011), and 540,000 shopped at a dedicated, stand-alone deli (8.1%, down from 9.0%). Source: Roy Morgan Single Source (Australia), April 2010 – March 2015, average annual sample n = 7,277 Australians 14+ who purchased delicatessen items in the last seven days. Results may add to more or less than 100% as respondents may select multiple places, including others not shown. “The deli is also a vital battleground for Coles and Woolworths as it’s an arena where no-frills discount players like Aldi (and soon Lidi) – with minimal staff and no deli counter – don’t compete in the same way,” said Andrew Price, General Manager, Consumer Products, Roy morgan Research.